Is your business juggling too many things at once? Small firms say they waste 28 hours of an average 41-hour week on administration. The rising burden of compliance and regulation means that more businesses are struggling to find the support services to get things done. That’s why many are looking to managed services to fill the gaps. Outsourced IT services, for instance, can cut the need for an extra in-house team. But what are the benefits of outsourcing IT? Read on to find out. As any London business knows, real estate is expensive. If you’re handling your IT in-house, you need to provide floor space for equipment and staff. That could mean expanding your operation or relocating your property. The higher rent could be crippling. Even maintaining IT equipment on-site can ramp up bills. Server rooms must be kept cool at all times. Physical security is a concern for businesses with servers on-site. Companies using outsourced IT services don’t have that concern. 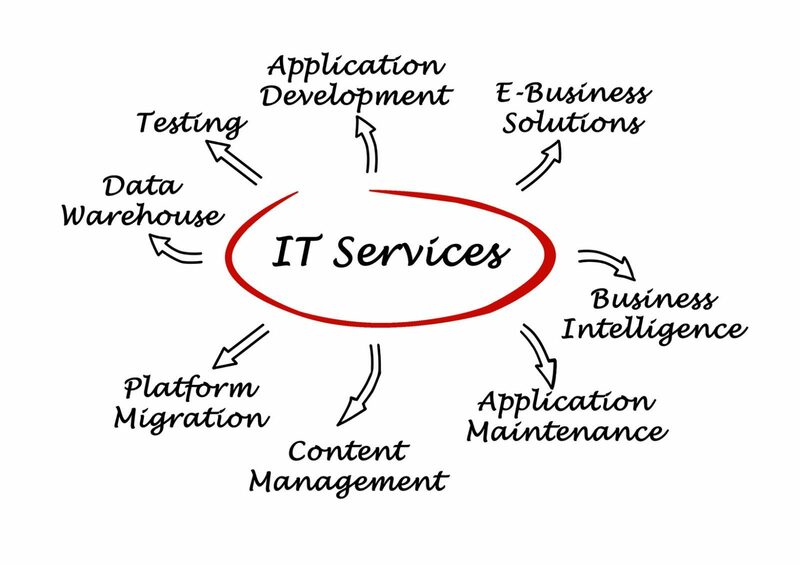 Service providers have their own premises and will handle your IT problems remotely. In London, that could save you huge amounts that would otherwise go to rent and bills. Freeing up this extra floor space leaves your business with room to grow in its current premises. It’s a great example of doing more with less. Many businesses fail because they simply try to do too much. Businesses of all sizes now need complicated support services, from IT to finance. Investing in these support services is costly. They need specific equipment and training. Not only that, but they need to receive all the other benefits your workplace provides. In many cases, though, they don’t directly grow the business or allow you realise your ambitions. In fact, they take time and resources away from your core business focus. Using outsourced IT services can sidestep this problem. For a single fee, you can contract an external provider to deliver the same service. The provider will do so without taking time away from what matters most to your company. In an age when businesses are losing the ability to specialise, you can avoid falling into the same trap. Dedicating those extra man-hours to a core focus could turn a failing business into a stable one. The service level agreement (SLA) is the contract between a managed service provider and the customer. It’s also good news for those customers. Imagine a technical problem emerges in your IT department. You’re informed that fixing it will cost thousands of pounds and could take months. You don’t have any choice but to foot the bill and wait. Service level agreements are the contract binding your service provider to the terms of their service. If a problem emerges, it’s on your service provider to fix. It won’t matter to you how costly the problem is or what resource allocation is required to fix it. These things will happen in the service provider’s offices. SLAs also set out your expected level of customer service. As you’re a paying customer of your service provider, you can expect to set the terms for turnaround times and the consequences of not meeting them. The two major expenses for IT are updates to software and upgrades to physical systems. But there’s more to upgrading than moving to the next version. The size of the business or obsolete software might mean a company has to spend time and money on R&D before they can undertake the process. Once that’s done, they still have to purchase the equipment and roll out upgrades. The cost of falling behind is steep. Not only does it give competitors the advantage, but it also opens up systems to security risks. Outsourced IT providers have IT as their core business focus. It’s where their money goes and what their customers expect of them. That means their systems are up-to-date and they pass on important updates to their customers. They use top-of-the-line equipment to ensure quality service to customers. Maintaining secure data and ensuring a robust backup schedule are vital to a modern business. This year, a ransomware attack rocked the NHS. These security breaches are only becoming more common. Modern businesses need the expertise and software to protect themselves. The updates we’ve mentioned previously are vital to keeping computer systems safe. However, modern computer security is a complex subject. It’s a subject for experts, which your business may lack. Outsourced IT services can transfer the onus of security onto technicians with the skills to protect your data. Likewise, they’ll have the systems in place to securely back up your data in a safe environment. If you do experience a breach, they’ll ensure continuity of service to your business. Data breaches can ruin the reputation of a business. Companies can no longer rely on in-house employees to protect them. It’s a brutal world for businesses. Larger companies have more clout they can use to squash smaller ones before they get started. This includes raw cash flow, but also expertise and public brand awareness. In these conditions, smaller businesses need ways to compete with their larger peers. Using outsourced IT services is a smart way to do this. Larger businesses can rely on in-house services to meet their needs, but small businesses rarely have that luxury. Instead, they can call on managed services to close that equipment and expertise gap. Of course, outsourced IT isn’t just for small businesses. Larger companies who use managed service solutions conserve time and energy for their core business. That allows them to get ahead of their competitors who fail to do the same. The scale of our economy finally supports the existence of managed service companies. In turn, they support further growth for businesses. Increased use of outsourcing and contractors will be the norm in the future as businesses return to specialising in their core focus. Want to know more about IT support? Make sure you follow our blog.